This world could use a little more happiness, and we’ve decided to do something small to help contribute. 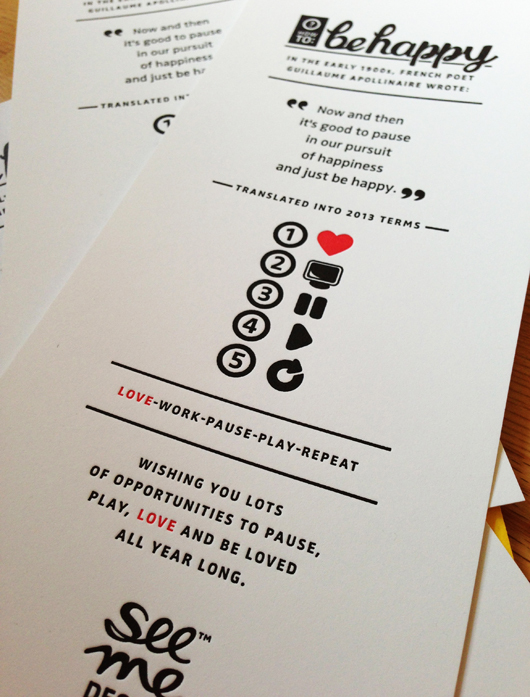 Below is a picture of our letterpressed instruction card for how to live happily, 2013 and beyond. If you’d like a copy of your own, just go to our facebook page and hit the like button. Then send us a message including your mailing address through facebook or at info@seemedesign.com. We’ll drop one in the mail and send it right over! Spread the happiness. Share the love. Happy early 2013! Thank you for being an inspiration in everything we do. It’s always exciting to see our clients succeed, and Carrie Heller, Founder of The Circus Arts Institute, has enjoyed many successes. So, of course we were excited when The Atlanta Journal and Constitution featured an article about Carrie and her Circus Arts Therapy® practice. Carrie is one of those few people who has been lucky enough to create a career doing what she loves. As a child she enjoyed circus arts as a hobby, and she continued practicing that hobby as an adult. After becoming a Licensed Clinical Social Worker, Carrie developed a unique and effective way to incorporate circus arts into her professional therapy practice. Her program at Circus Arts Institue allows children with behavioral issues, learning differences and other challenges to take risks in a safe, non-competitive environment and to take pride in their distinct physical accomplishments. Carrie recognized the benefits of Circus Arts Therapy long ago, and ongoing research is confirming the positive results that Carrie sees every day. Circus Arts Institute also offers adult Circus Arts FitnessTM classes, children’s programs and camps, professional instructor training courses, and corporate workshops at her studio. The ultimate multi-tasker, Carrie still carved out time to write the industry’s first training and safety manual while successfully juggling her growing business. We’ve enjoyed following Carrie’s success in the process of helping her with rebranding with new logos and overall look, a new website with added functionality and even new t-shirts for students and instructors. Carrie is dazzling her audience on multiple levels and we’re proud to be a part of that! 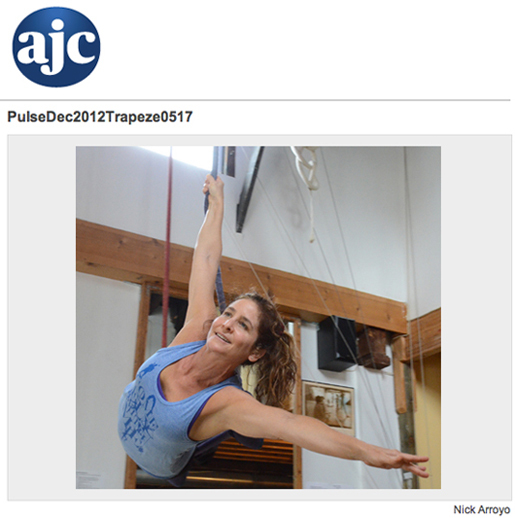 Carrie Heller pictured above from the AJC wearing a shirt designed for Circus Arts Institute by SeeMeDesign. It’s been long enough for Hurricane Sandy to be pushed to the press back burner, but the clean-up is still a long way ahead. So, we have joined forces as a sponsor of this relief effort coming up this Monday from 6-9pm at Sweetwater Brewery. 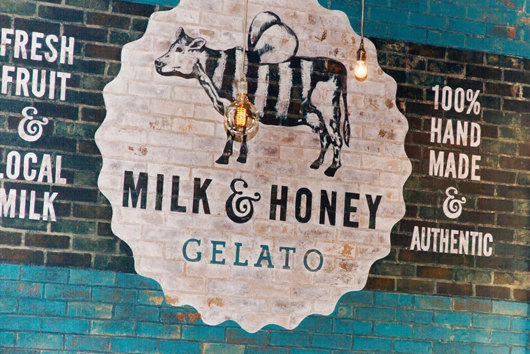 Our partners in this effort are W Atlanta – Midtown, Sweetwater Brewery and American Spirit Whiskey, all of which will support the Robin Hood Foundation. So, what do you say… can I twist your arm to spend a Monday evening enjoying the pouring fountains of beer, whiskey and food from the W? 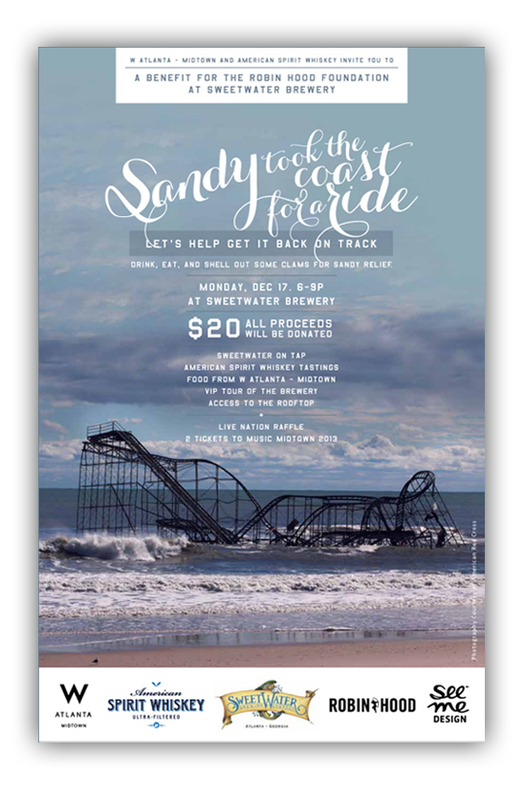 Come on… our friends in the Northeast sure could use a little more help. The invite and information is below. For more details, visit the facebook event. And of course, as a sponsor, that’s a SeeMeDesign.